Hi everyone! It's my turn up on Lori Whitlock's blog today. 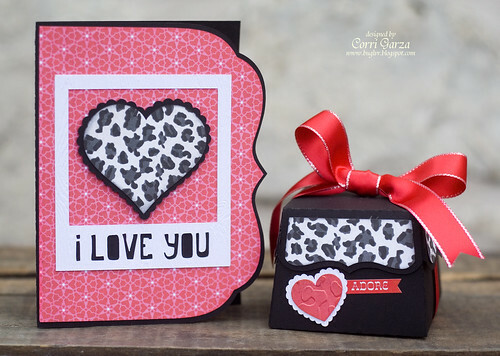 I have a pretty Valentine's Gift set that I made using some of Lori's new files. I used Echo Park's - Love Story collection that Lori designed. I love the animal print papers mixed with the red and pink. So fun! For my card, I used the base from this thank you card. The pretty scallop heart is from this set. I framed it with this adorable polaroid frame. I cut the new 3d bracket lid box and embellished with another heart and a sticker from the Love Story Collection kit. Love this set Corri, very pretty! !